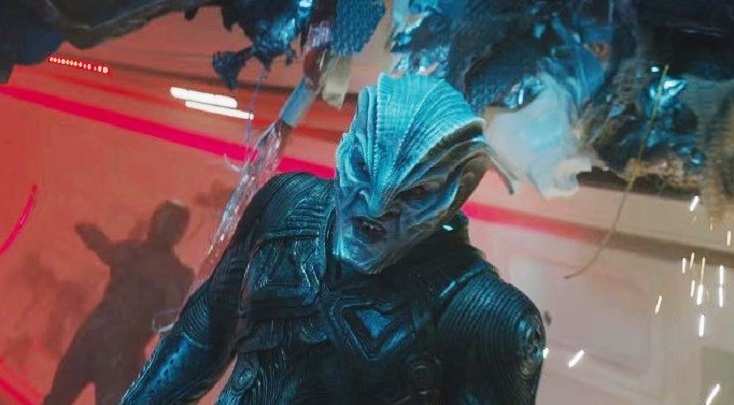 The third of the new era of Star Trek movies is finally upon us after 2013's 'Into Darkness' that despite getting good reviews to start with, has recieved some sort of a backlash. Now we have 'Beyond' to correct the fans gripes and it certainly seems to have done so. After beingg tricked into a surprise attack, the Enterprise is destroyed and has to crash land on a mysterious planet. The attack came from Krall (Idris Elba) a lizard like creature who prolongs his life by stealing the life out of his victims. To complete his devious plan, Krall needs an ancient artifact that is aboard the ship. The crew are split up due to the attack so Kirk (Chris Pine) must reunitte with Spock (Zachary Quinto) and the rest of his crew and escape the planet before utter devestation is caused. Some people had a problem with 'Into Darkness' saying that it wasn't fun enough. Well with director of Fast 5 and Furious 6 Justin Lin taking the helm of the franchise, you could almost guarantee that this movie would most definitely be fun. You then add the fact that Scotty himself Simon Pegg co-wrote the film and you can pretty much be sure that this movie would be fun. Both deserve huge credit as well as Doug Jung who co-wrote with Pegg. Lin made it clear in the Fast and Furious films that he could handle action very well and create a very fun action atmosphere. You can see his talents in 'Beyond' as the action is superb and really has fun with itself. The sci fi elements allow Lin to really let loose which creates some great moments including the scene with Kirk on a motorcycle that seemed really silly in the first few trailers. At times, the action does seem a bit too shaky but it doesn't last for too ling to really become a problem. I'm a big fan of Simon Pegg and I would probably say that he is my favourite comedy actor. For him to have co written this movie was ideal for me as I could expect some of the great quality that we have come to expect from him. The comedy within the writing works incredibly well and even makes the film a lot funnier than most of the comedies this year. The jokes and one liners land very well and the banter between the characters is incredibly enjoyable to watch. It's only been recently that I have gotten into Star Trek and I'm really happy that I did. One of the main reasons for this is due to the amount of interesting and great characters within the series. Chris Pine is excellent once again as Captain Kirk as one of the standouts in the film. He portrays the character incredibly well by both being a leader and taking the fight on head on but also by being very thoughtful and making very well calculated decisions. Pine's charisma allows him to really flourish in 'Beyond' in what is another gret performance from him. 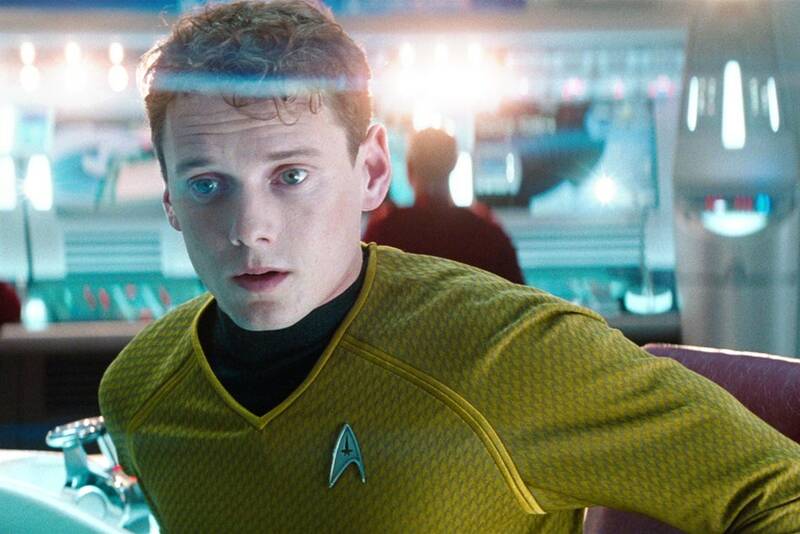 A big strength in the film also comes with the other supporting characters played by the likes of Simon Pegg, Zoe Saldana, John Cho and also by the late Anton Yelchin. Everyone brings it in this movie and there really isn't a weak point in the crew as you care and are interested about all of the characters. Individually they all have traits that make them stand out and they have really done a great job to make you care about the whole team in this new rebooted franchise. My favourite part of this movie comes with the focus on Spock and Bones relationship. 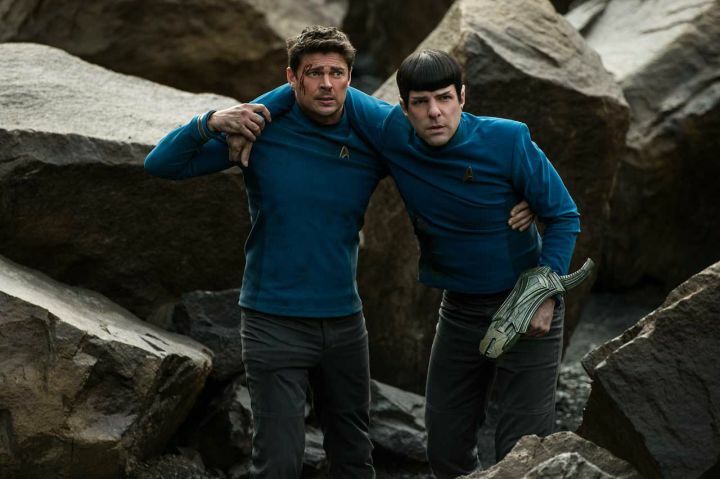 Zachary Quinto and Karl Urban show fantastic chemistry in this film and are hilarious together. The pair bicker with each other despite having each others best interests in mind which creates a highly enjoyable viewing. The two bounce off each other very well and had the whole audience chuckling which was great. There's a lot more screen time for Urban's character 'Bones' which was great as he really adds a lot to the film which was missed in 'Into Darkness'. 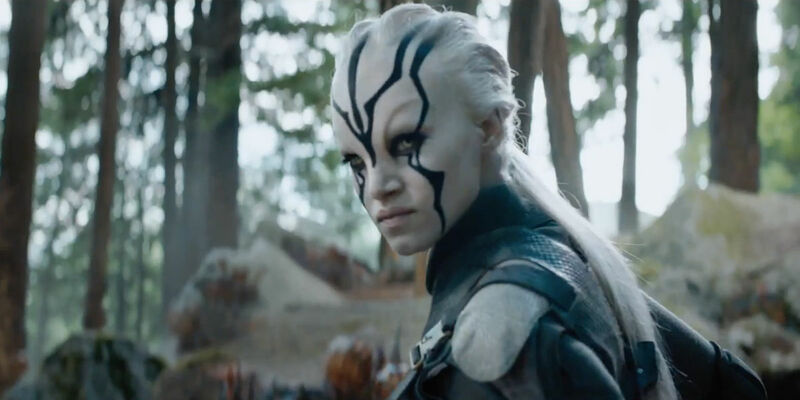 Also shining in the film is Sofia Boutella as Jaylah who is one of the most badass characters of the year once again following her success in last years 'The Kingsman'. She was both very clever and also could handle herself against enemies with a good backstory creating a great heroine. I look forward to seeing more of her in future instalments as she is a truly unique and interesting character that stands out from the crew. One gripe I do have with the film is with the villain. Idris Elba does a good job as Krall despite genuinely being hard to understand at times- and that's coming from a Scottish person! He did seem dangerous but at times they could've pushed it a bit more to make him truly terrifying and one to be feared. However, at times it seemed as if he was missing for large parts of the film. The ending as well seemed a bit lacklustre as he lost a bit of his power and seemed to be dealt with far too easily although it did have quite a nice twist on the film. A great addition to the franchise and one of the most entertaining movies of the year. 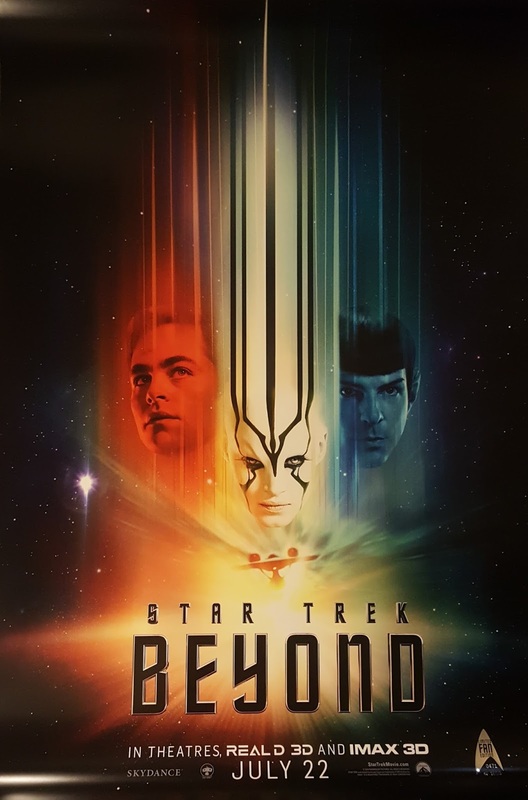 'Star Trek: Beyond' is a blast and you will have a great time watching this flick! So have you seen 'Star Trek: Beyond'? If so what did you think of it? I hope this review was useful for if you were planning on seeing the movie. I also hope that if you choose to see it that you enjoy it as much as I did. Once again, thank you for reading my review, it is much appreciated!